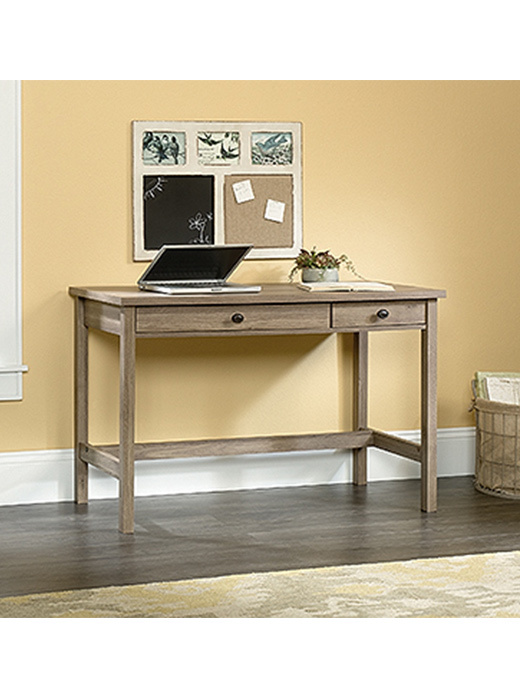 Writing desk ideal for a home office. 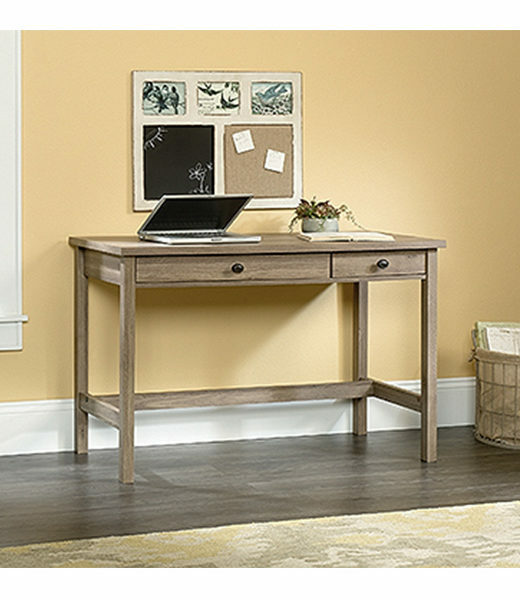 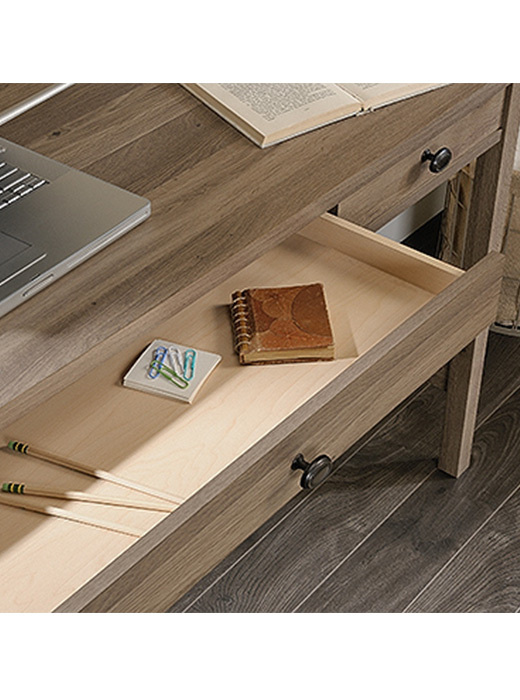 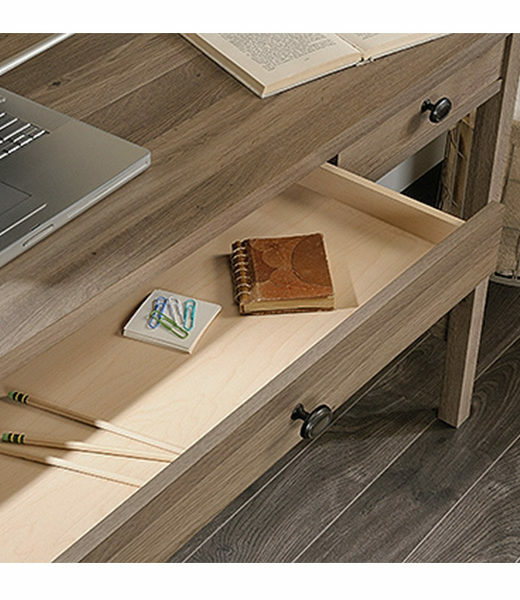 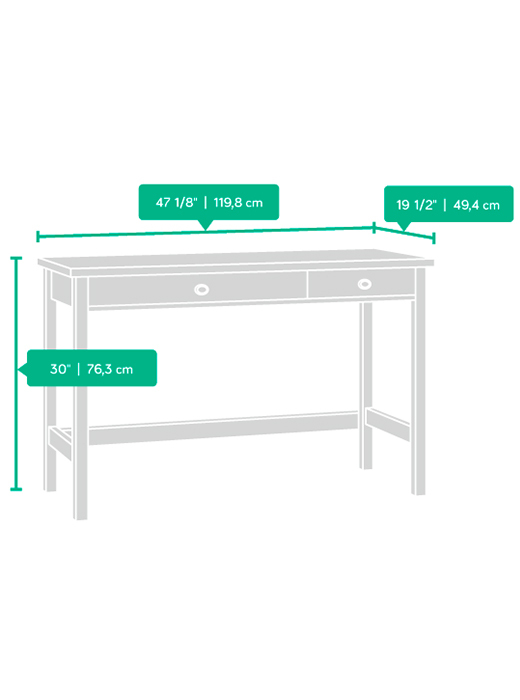 If you need a computer surface for a room with more limited space, this small desk is an ideal option. 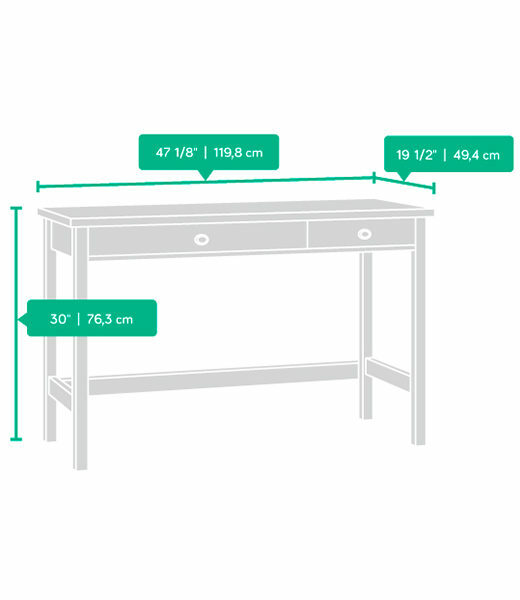 A good amount of surface space with slim drawers underneath.